Elected to the state House of Representatives in 1888, Alfred Fairfax was the first African American to serve in the Kansas legislature. A farmer and pastor, Fairfax represented the 58th District. During his single term in office (1889-1890), he served as chairman of the House Committee on Immigration and spoke out in favor of an end to segregated schools as well as a prohibition of discrimination more generally. Born a slave in Loudon County, Virginia, Fairfax reportedly attempted to escape shortly before the Civil War, an action which may have contributed to his sale and removal to Louisiana. In 1862, a subsequent escape attempt proved successful, with Fairfax joining the Union Army soon thereafter. During the Reconstruction period, Fairfax actively participated in Louisiana politics, including earning a Republican congressional nomination. In 1880, following the end of Reconstruction, Fairfax joined thousands of other African Americans in moving north and west in search of social and economic opportunity. One popular destination was Kansas. The men and women who arrived in the state during this period were collectively known as “Exodusters,” in reference to the biblical Exodus from Egypt and the migrants search for a better life outside the south. They founded numerous communities throughout the state, including the town of Nicodemus. Indeed, by the end of the decade, more than 40,000 African Americans called Kansas home. Upon arriving in Kansas as leader of a group of several hundred families, Fairfax settled in Chautauqua County near the town of Peru. He managed a farm of several hundred acres, raising cotton and operating his own gin, the Fairfax Ginning Company. He also became pastor of the New Hope Baptist Church in Parsons. The late 1870’s and 1880’s marked an early highpoint in African American political participation in Kansas. In addition to Fairfax’s 1888 electoral victory, Edwin P.McCabe won election six years earlier in 1882 to the position of State Auditor and L.W. Winn, a resident of Cherokee County, received an appointment to an unexpired State Senate term in 1879, though he never assumed the seat as the original incumbent returned to take the office. “Alfred Fairfax.” Kansas Historical Society, Kansapedia. 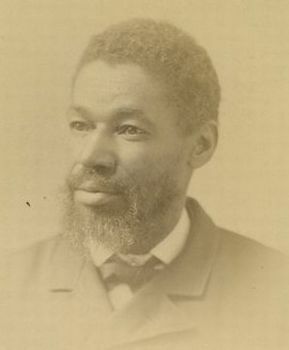 http://www.kshs.org/kansapedia/alfred-fairfax/11733; Thomas C. Cox, Blacks in Topeka, Kansas: 1865-1915, A Social History (Baton Rouge: Louisiana State Press, 1982). “Alfred Fairfax.” Kansas Historical Society, Kansapedia. Blacks in Topeka, Kansas: 1865-1915, A Social History (Baton Rouge: Louisiana State Press, 1982).